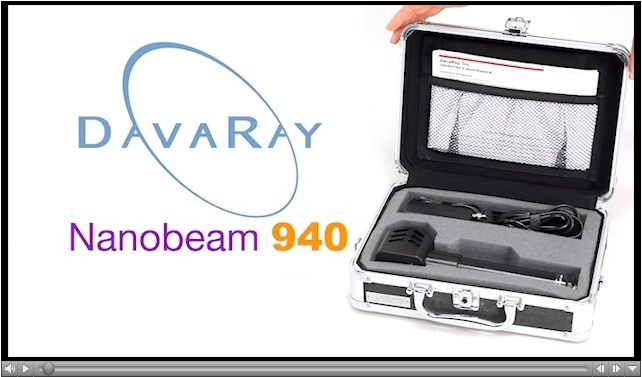 DavaRay, Inc. received FDA clearance to market the Nanobeam 940 near-infrared emitter for use in clinical settings or as prescribed by a licensed healthcare practitioner. DavaRay, Inc. is proud to be able to provide light therapy products designed to make life more enjoyable by alleviating pain. Our highest goal is to help as many people as possible to feel better using non-invasive light therapy. The Nanobeam 940 is the result of years of product development, leading to an FDA-cleared medical device designed to be used in clinical settings by doctors and licensed health-care practitioners. For chronic conditions it is also available for home use by prescription. The 21st century promises to be filled with many discoveries related to the application of specific light frequencies to stimulate the body to repair itself. It is the mission of DavaRay, Inc. to be at the forefront of light therapy technology, thereby helping to alleviate pain and suffering wherever possible.